Nearly 35,000 runners took part in this year’s edition of the Minsk Half Marathon on 9 September, an event which is expanding in participation and reputation with every passing year. The Minsk Half Marathon was bestowed with a five-star rating by European Athletics Running for All – an integral part of our road running strategy – and the event was also given Bronze Label Road Race status by the IAAF last year. From 600 runners in the inaugural edition, almost 35,000 runners took part in the country’s biggest road race – and an event which is one of the most important on the Belarusian sporting calendar. The race took part alongside the ‘City Day’ celebrations to mark the founding of Minsk in the 11th century and was part of a wider sport and fitness festival in the capital. The programme also included a 3×3 basketball tournament and a UEFA Nations League football at the newly refurbished Dinamo Stadium which will be staging events at the second edition of the European Games in 2019, including Dynamic New Athletics. 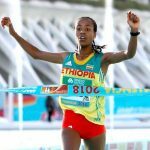 From elite runners to recreational runners and politicians and celebrities, nearly 35,000 runners took part across the three events: a half marathon, as well as races over 10.55km and 5.5km. The field also included representation from 53 countries, including the United States, Canada, Australia, China and Japan. The race is a key part of the government’s drive to promote sport and health in Belarus. 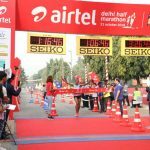 The race also had a palpable impact on the local economy again and the event is being firmly embraced beyond the running fraternity as is exemplified by the volunteer recruitment drive. 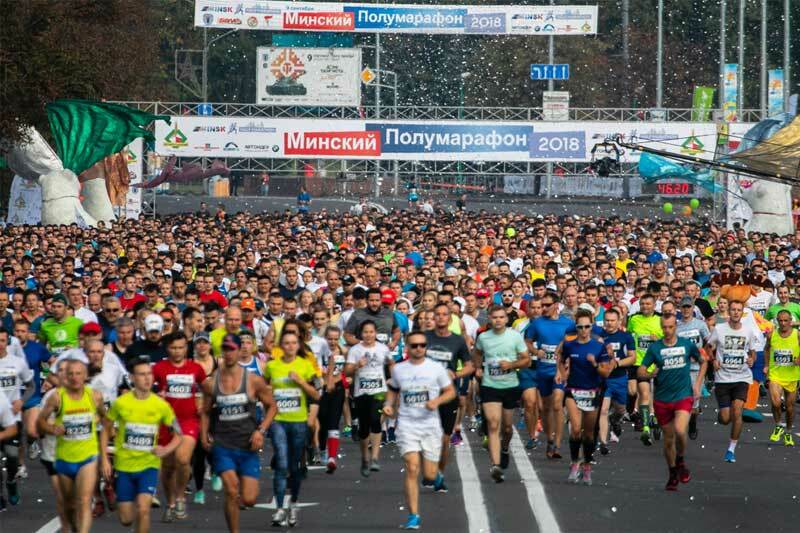 “When we started organising the Minsk Half Marathon, we assumed there would be a lot of volunteers – but we did not think there would be quite so many!” said Mayor of Minsk Andrey Shorets. The elite field included an expanded elite field to take on the leading Belarusians. 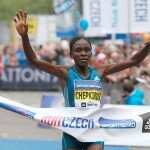 There were high hopes of a fifth home win in the women’s race featuring a strong contingent including the recently crowned European marathon champion Volha Mazuronak but Kenya’s Sheila Jerotich became the first non-Belarusian winner, edging out home favourite and former European 3000m steeplechase silver medallist Svetlana Kudzelich – 72:02 to 72:03. Less than a month after winning an eventful marathon at the European Championships Berlin, Mazuronak – a former two-time winner of this race – had not sufficiently recovered from those exertions and had to settle for fifth in 73:58. 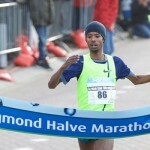 In the men’s race, Ethiopia’s Abebe Negewo pipped another former two-time winner Kenya’s Hillary Kiptum in another close finish – 62:37 to 62:38.